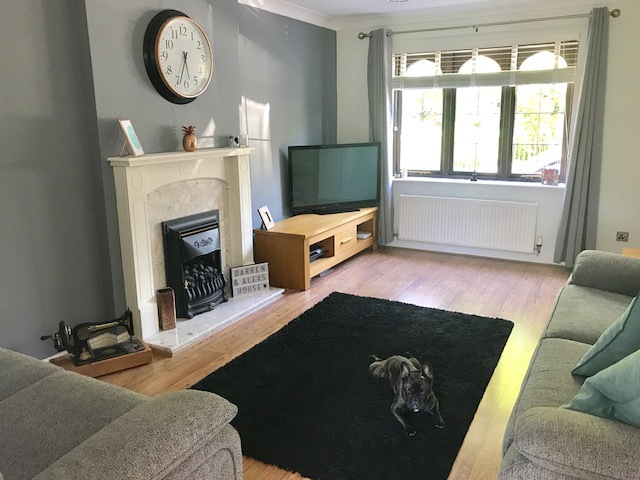 When we got the all-important phone call to say that our offer has gone through and we had officially bought a house, one of the first things we did was go sofa shopping! Our families had told us that there is a wait time for items like that so best order one as soon as you can so that you're not just sat the floor. So off we went to our local retail park and trekked around the stores to find what we were looking for. However, we didn't know what we were looking for! I like to think I am pretty good at choosing interiors as it is something I LOVE to shop for but when its a big item I just don't know where to start. One of my most used phrases when buying the house and all of its content was 'I don't know I have never bought a house before'. It's so hard to know what's going to be right for you, your house and your lifestyle. 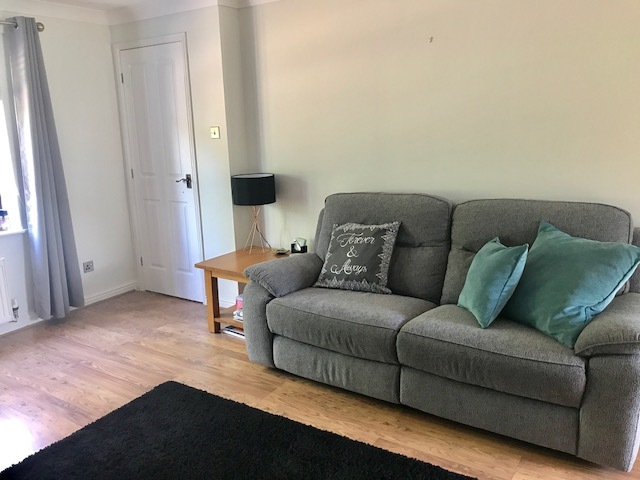 I sort of left the sofa decision to Darren, he decided he wanted a fabric sofa that was very comfortable and we fancied a recliner too, my only final word was it had to be grey! Knowing that we wanted to get a dog we were little unsure if fabric, however, we thought faux leather may get easily scratched? It's very difficult to way up the pros and cons when you're not too sure how a puppy will be. We stuck with choosing fabric and decided we would buy a throw to pop on the sofa in case the puppy had muddy paws etc. I think in the future choosing faux leather would be ideal as you grow your family. Wipe clean items are always a must with not only muddy paws but sticky fingers too! The reason I am writing this post today is due to Fenetic Wellbeing challenging why you wouldn't go faux? It's practical, durable, can be very stylish and probably a lot, lot cheaper than the real thing! PLUS do to the increase in peoples understanding on the social impact it is consciously the right choice! Thinking of our future home I would love a faux leather recliner or one of those amazing corner sofas what you can melt in to. 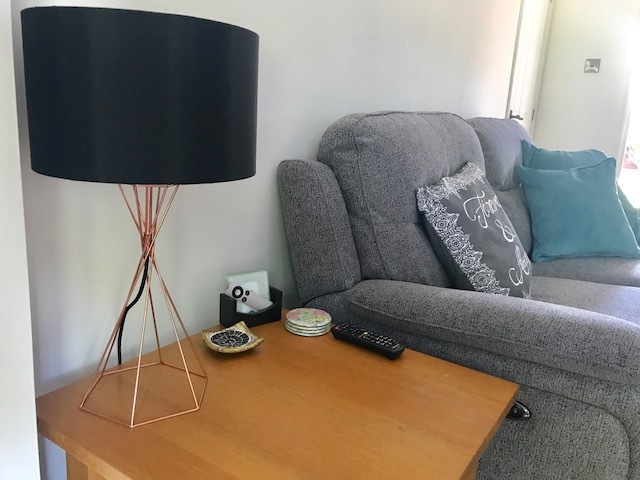 Our living room is a little restricting at the moment due to the size and shape, however, I think once we move it will be something I look for!